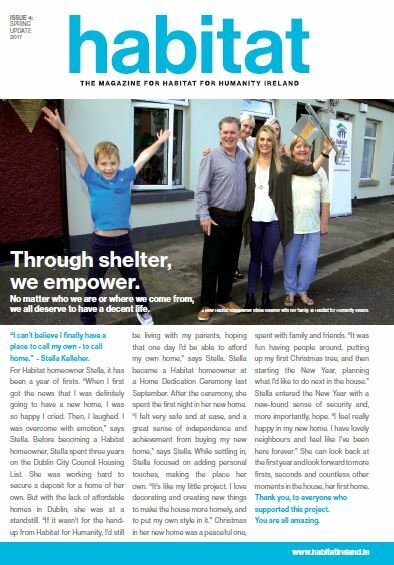 Welcome to Habitat for Humanity Ireland’s Press Centre, where you will find our latest press releases and newsletters. Habitat for Humanity can offer the news media high-quality Habitat photography and video as well as quotes and interviews about Habitat’s work. We can also offer interviews on a variety of topics, including, but not limited to: volunteerism, home construction, and international development. Details: email communications@habitatireland.ie or call 01 531 0033.